kits come with plain rotors and rubber hoses. 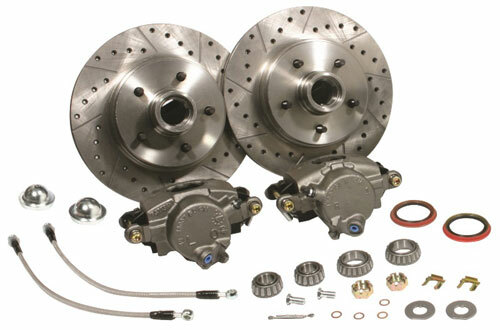 Kits include rotors, calipers, brake hoses, bearings, seals, banjo bolts and spindle nut kits. Individual components also available.